Logitech has joined forces with Spotify so that owners of the Logitech Squeezebox media player can access Spotify music service. 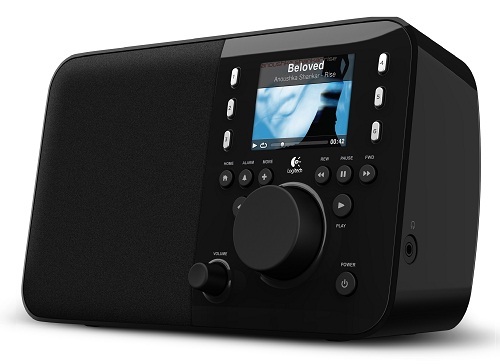 According to Logitech owners of the Logitech Squeezebox Touch or Squeezebox Radio player; using their existing wireless home network can now access Spotify’s comprehensive catalogue of more than ten million songs, including your Spotify playlists, anywhere in the home. Spotify is currently available in Finland, Norway, Spain, France, the Netherlands, Sweden and the U.K.
To enjoy Spotify on your Squeezebox Touch or Squeezebox Radio, all you’ll need is a Spotify Premium subscription, which in addition will give you CD-quality 320 kbps sound, offline and mobile access, as well as exclusive music content. A fully featured test version of the Spotify app for Squeezebox Touch and Squeezebox Radio owners is available today in Beta form from mysqueezebox.com, prior to a full rollout expected in the very near future.